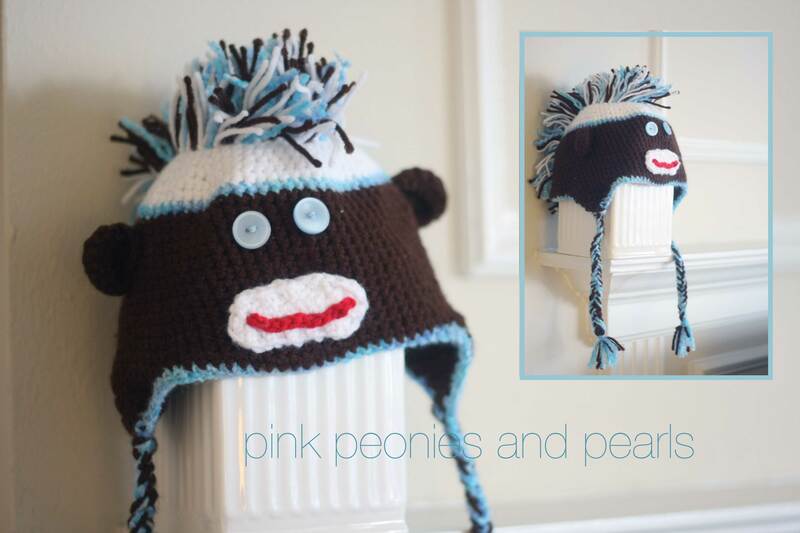 Aunt Nana’s Crochet: Sock Monkey Mohawk Madness! My oldest nephew, Sean, can’t wait to get his mohawk in the mail this week! We had a little Sean and Aunt Nana time via FaceTime this weekend, and he was so excited about this gift. Seeing him smile so BIG made my day. It is difficult being a long distance aunt. When I lived in Indiana, Mr. Cooper and I spent many weekends with our nephews for family time. This is a huge transition for me not having them in the same town. Little gifts from the heart never hurt or spoiled anyone! I miss them so much, and at least I have crochet to help with making awesome gifts to remind my family how special they are to me. You can make this Mohawk Madness sock monkey beanie by following this YouTube tutorial by Sabrina at Havoc Mayhem Creations.